Open the About You Editor and check the Visibility columns; if you see Not Visible, click the ball icon to toggle the visibility to VISIBLE. 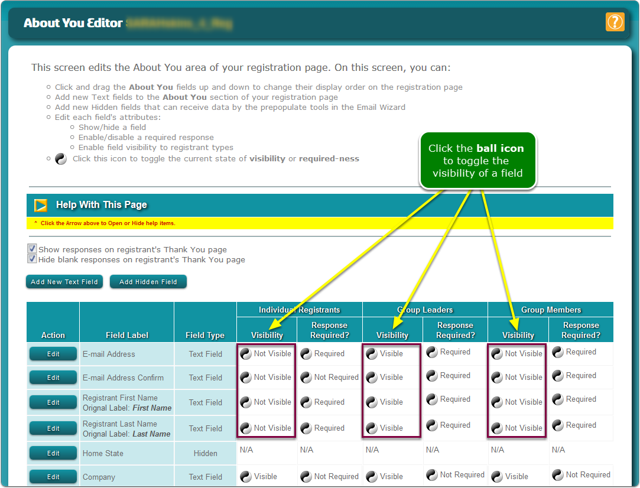 Click the Permissions button for each registrant type and turn on the visibility of fields, questions, sessions, sales items, etc. 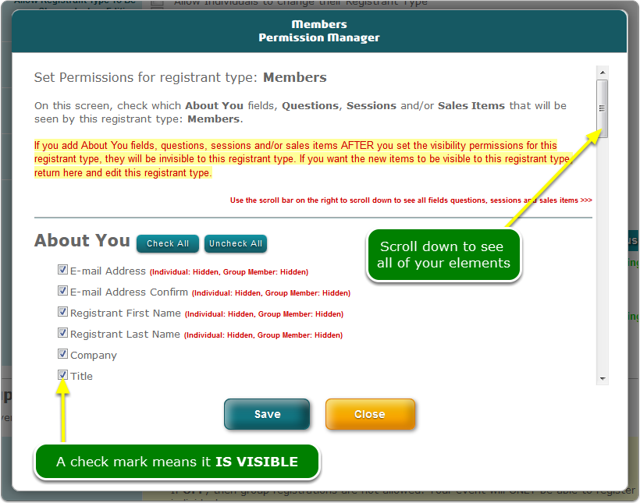 This Permissions screen controls the visibility of About You fields, Questions, Sessions and/or Sales Items that will be seen by this registrant type: Members. There may be special characters in one or more of your fields. If you suspect this reason, please contact support@rsvpBOOK.com for a resolution.